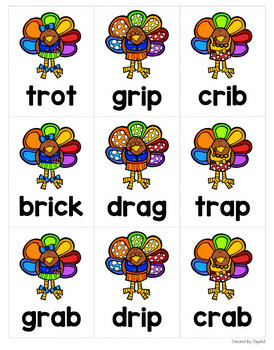 Do your little turkeys need to get up and wobble? 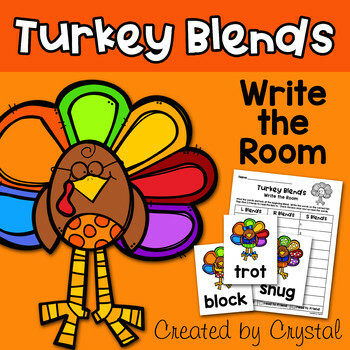 This write the room activity will get them up and moving. This product has l, r, and s blends. Just print and hang the cards around your classroom. 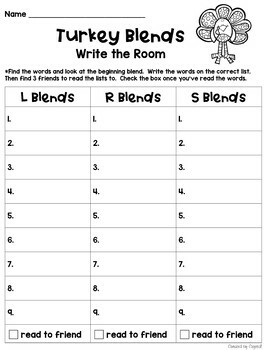 Students will use the recording sheet to record the words by writing them in the correct blend list. 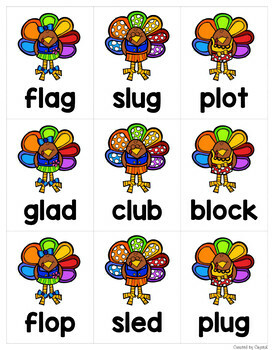 Then, students can practice reading the words to 3 different friends. I hope you enjoy this freebie!